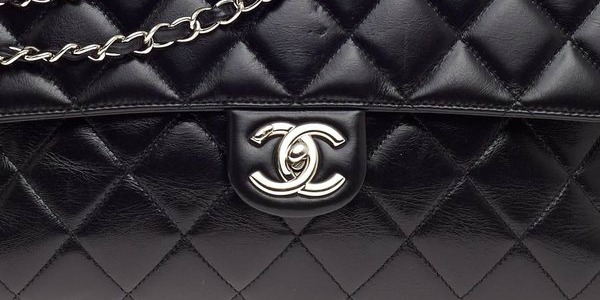 The decision to buy a Chanel bag is always easy, but the decision of which Chanel leather to pick isn’t always straightforward. 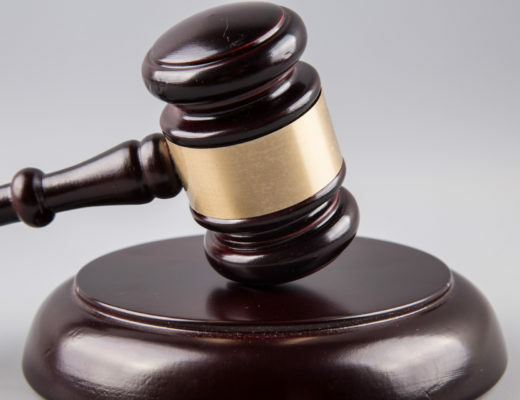 With many options readily available, how do you know which one is the best one for you? You should consider your lifestyle and how you plan on wearing your bag. Is it an everyday bag or do you plan to wear out in the evenings? 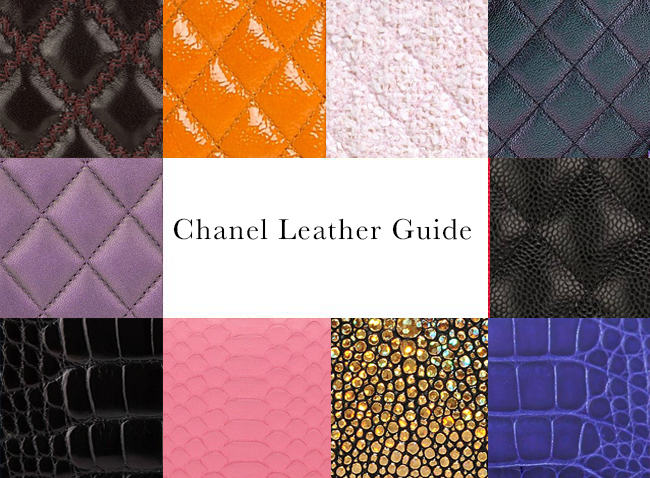 Most importantly, you need to consult our guide below to make sure you pick the absolute best Chanel leather for your new handbag! Without a doubt, Lambskin is one of Chanel’s most popular leathers and the softest one among luxury handbags. Most often used in the Classic Flap Bags, to the touch, Lambskin is almost velvet-like, and to the eye, it has a soft sheen. This sophisticated leather requires the utmost care to remain in great condition. It’s important to store it with the chains tucked inside to keep them from denting the leather, and to moisturize it often. 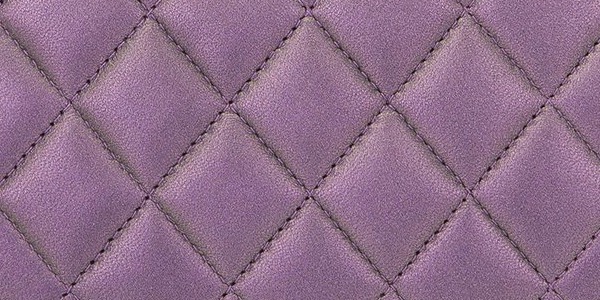 Soft to the touch and with a beautiful sheen, this Chanel leather is easy to maintain as it is not prone to scratches. If any were to occur, they can easily be buffed with a clean finger. 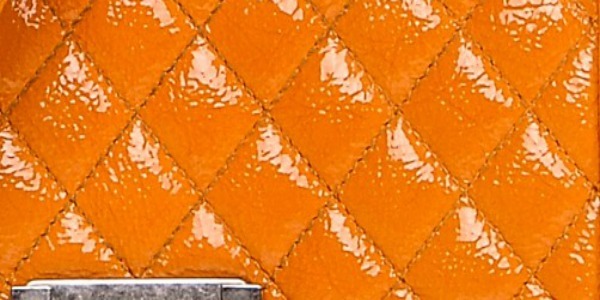 Chanel’s Caviar Leather is perhaps the most recognizable leather of the French fashion house. Made from pebbled calfskin, the visible grains make this leather tougher and heavier than Lambskin, and a popular choice among those who want to carry their Chanel bag more often. 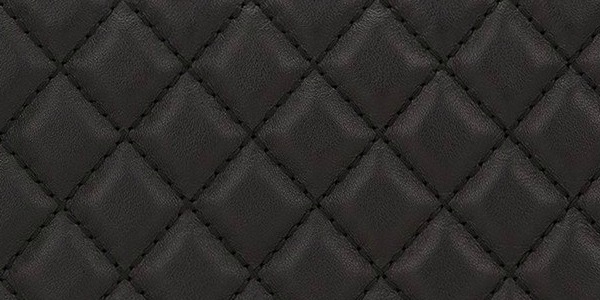 When crafted in Chanel’s iconic diamond quilt, Caviar holds the puffed appearance longer than Lambskin leather. Although Caviar doesn’t show scratches and blemishes as easily as other leathers, it’s still important to properly care and store it. 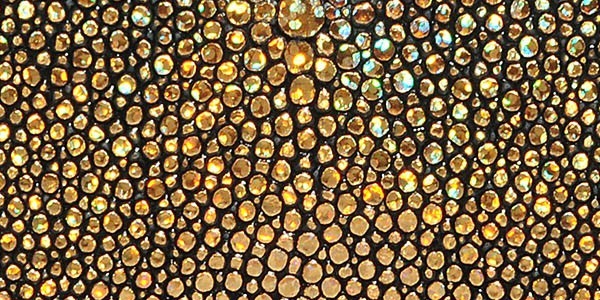 Also be aware that light colored Caviar leather is prone to color transfer, so be careful of not placing it against dark fabrics. 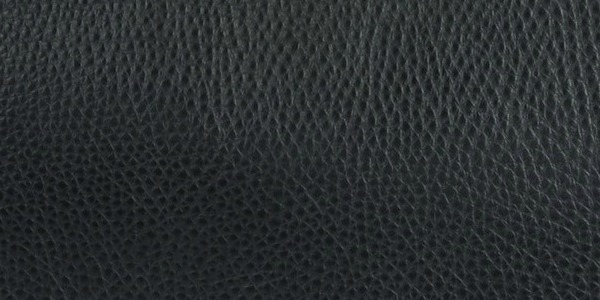 Soft and smooth, Calfskin leather is made from calf hide. 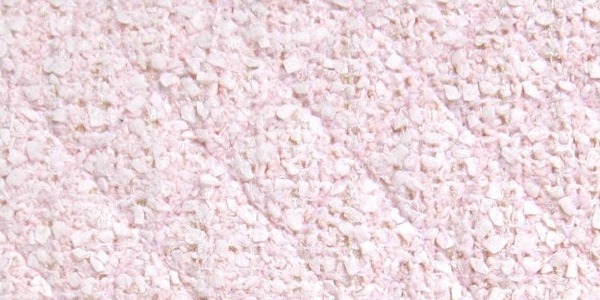 Most often used in Chanel’s iconic quilted designs, its small and delicate grains give it an elegant texture. Calfskin is very versatile, making it available in various presentations. Despite its smoothness, Calfskin is quite durable. Often seen in Chanel’s Reissue line because of its vintage look with visible wrinkles, this is a great leather choice for those looking for a slouchier handbag that doesn’t show scratches and blemishes easily. Smooth to the touch with a shiny look, this Chanel leather has a polished quality that attracts many. However, be careful to store it with the handles inside the bag, and to not rub it against any hard surfaces, as the glazing can come off. With wear, Glazed Calfskin will crack slightly, with many enjoying this “worn” look. Shiny, shimmering, splendid. 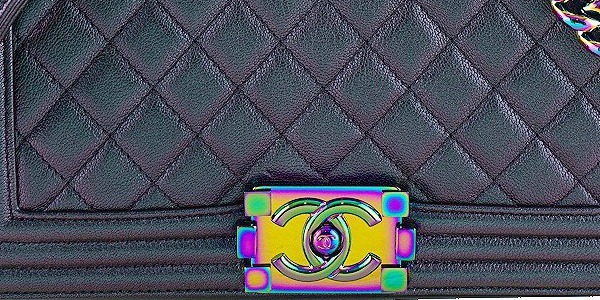 Often compared to Caviar in terms of durability, Chanel’s Iridescent Calfskin doesn’t show scratches and it’s perfect for handbags that see a lot of wear. This easy to clean leather can be dressed up or dressed down depending on the occasion. Goat hide is one of the strongest and most durable leathers among all luxury handbags. It is able to withstand lots of wear and tear and it’s a great option for handbags that see a loaf of wear, such as totes. Despite its toughness, Goatskin is very soft to the touch. Something to keep in mind with this leather is that with wear, Goatskin leather handbags will slouch a bit from the top, but the sides will keep their shape nicely. 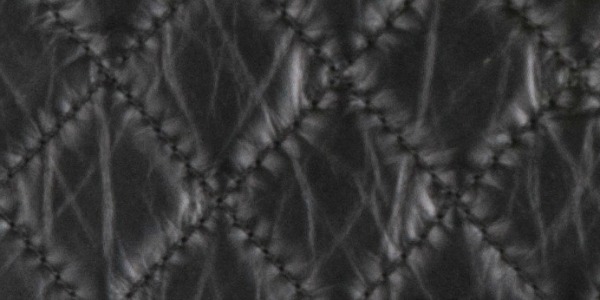 This Chanel leather has the same durable qualities but with a beautiful metallic sheen. With lots of wear, the metallic film on the bag can start to peel or fall off, so be careful with you Metallic Goatskin Chanel bag, and always carry it with the utmost care, or leave it for special occasions. Another textured Chanel leather with large grains, Deerskin was first made from deer hide, as its name suggests, but after multiple complaints about the weight Chanel decided to change the material to calfskin while keeping the pebbled look and name of Deerskin. When you purchase a Deerskin bag in the secondary market keep in mind that Deerskin Cerf refers to the official Deerskin heavier leather (“Cerf” means “deer” in French), and Deerskin is the newer leather made from calfskin. Made from calf hide, patent leather gives any bag an immediate vintage feel. Because if the nature of this Chanel leather is prone to color transfer, so be sure to keep it away from any dark fabrics, like denim. 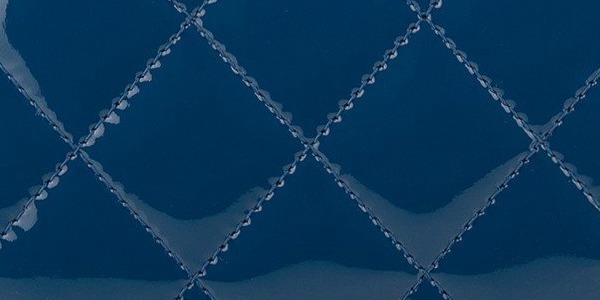 Patent leather also requires a lot of care, as scratches are impossible to remove. 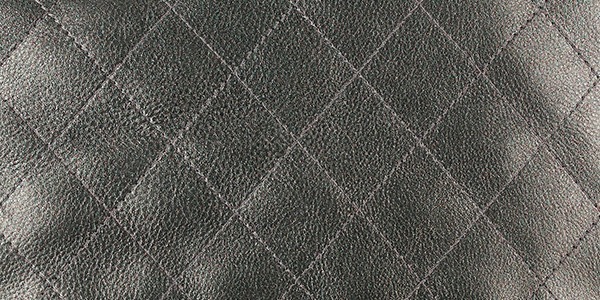 With a soft grain and crackled look, this Chanel leather has a vintage look. Its appearance makes any scratches and blemishes blend in, making this the go-to patent leather for people who don’t want to baby their bags. 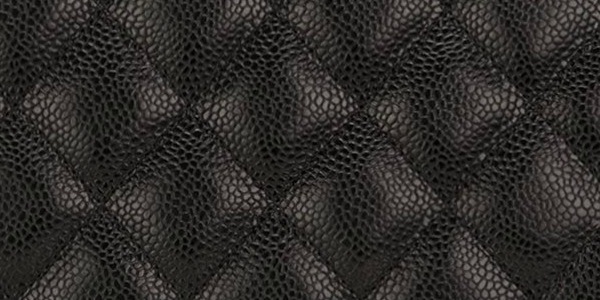 Most often seen on Boy bags, this exotic leather is made from sharkskin or stingray skin. It is name after leather craftsman Jean-Claude Galuchat, who created this type of leather. Galuchat is often painted in various colors and it’s very durable, even more so than other cowhide leathers. If you’re looking for a more casual but still very Chanel look, you simply cannot go wrong with Jersey. This knit material is great for every day use, but keep in mind that as with any fabric, stains can occur and this is one Jersey you should never attempt to wash yourself. 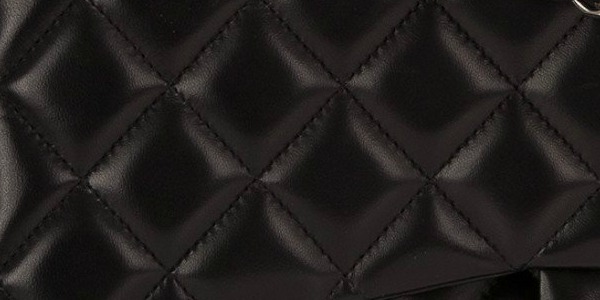 When purchasing a Jersey Chanel bag keep in mind that pilling can occur over time with heavy wear. 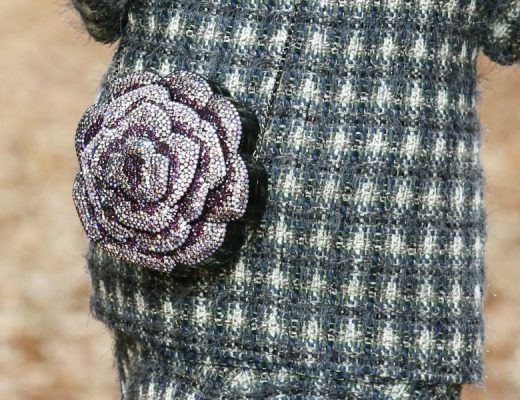 Fewer things are more iconic than Chanel’s Tweed suits. 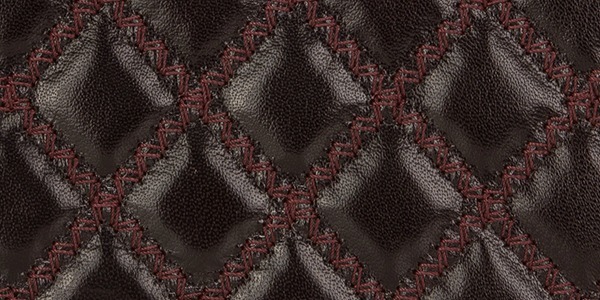 If you love the material but are not much a suit person, Tweed Chanel bags are beautiful and eye catching. This material can be rough to the touch, but it’s quite durable. Just be careful of not getting your Tweed bag caught on anything, as holes are hard to repair. Canvas is a great option for those wanting a more casual look. 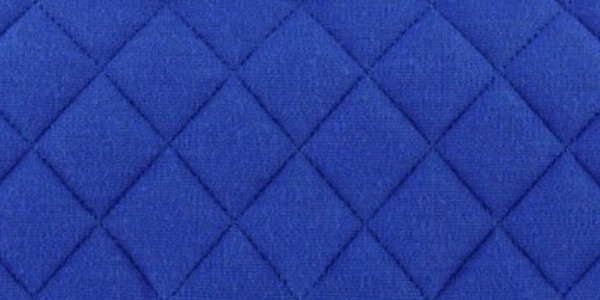 This fabric provides little to no structure, giving any handbag a relaxed look. 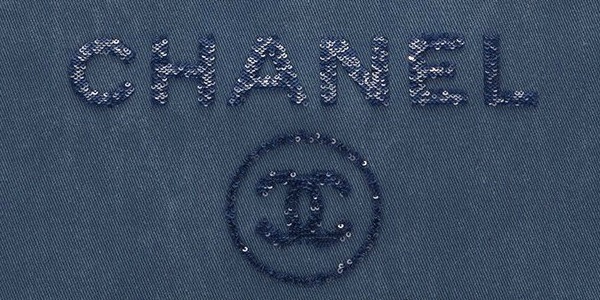 Chanel uses canvas in their popular Deauville totes. Just like with any fabric, be careful with stains, as they’re hard to remove. Velvet has come back in popularity in the past few years, no doubt because its regal elegance makes any velvet Chanel bag immediately Instagram worthy. 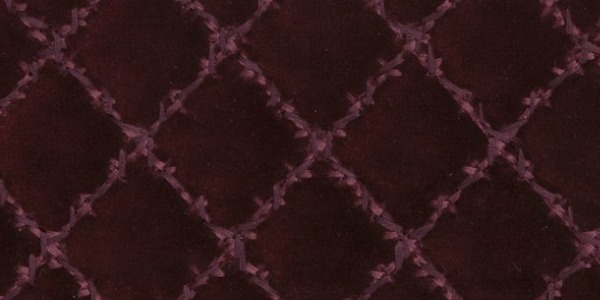 However, velvet must be treated with the utmost care, as any stains or blemishes are hard to take care of. 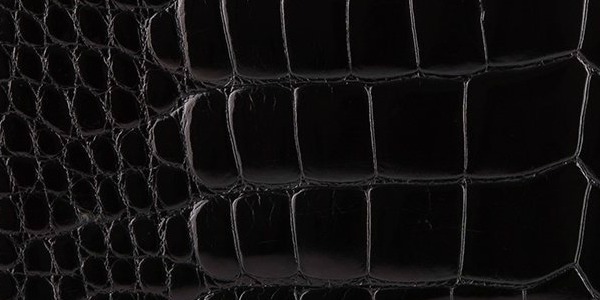 Chanel’s crocodile handbags differs from their alligator counterparts because of the size of the scales. 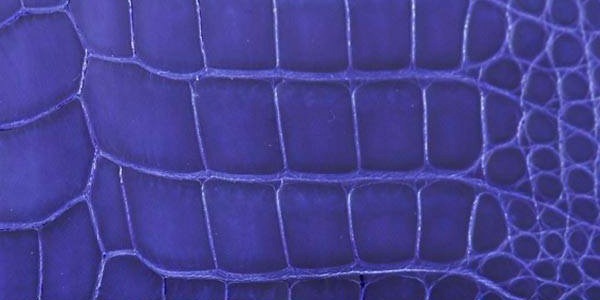 Alligator scales are more symmetrical, while crocodile scales are more defined. Crocodile has small “pores” in the middle of each one. They should both be kept away from water and moisturized often. 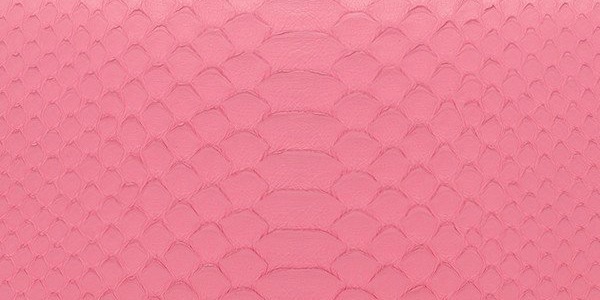 The scales on python skin show off color beautifully, and the wide range of patterns guarantee that not to bags are ever alike. It’s lightweight and relatively easy to maintain, but must be kept away from water. No matter which Chanel leather handbag you’re looking to purchase, we’re sure you can buy the bag of your dreams at Madison Avenue Couture. And if you don’t see what you’re looking for, we’re happy to source it for you. Click here for more information, and happy shopping!